The boy that Fuka loved in Osaka. However, when he heard that Fuka had already had her first kiss from Akito (during kindergarten), he thought that it meant Fuka already had a boyfriend, so he began avoiding her. However, Fuka took this to mean that Takaishi didn't like her, because Akito's kiss had tainted her. When Takaishi comes to visit with a group of Fuka's friends from Osaka, he realizes the truth and asks Fuka out, but she refuses, telling him that it simply wouldn't work with them living in different towns. Later when Sana and Akito found his new address they talked him and heard that he has broken with his girlfriend because he still has feeling towards Fuka. Sana and Akito gave the address note and phone number to Fuka that she would can call him anytime. She is wondering should she call him or not. 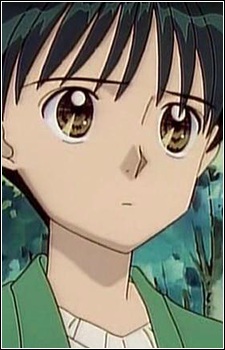 In the anime, Fuka gives up on Takaishi after meeting his new girlfriend Shizu. But after she breaks up with Akito, and Takaishi breaks up with Shizu, they clear up their misunderstandings and become a couple.